Self-perceived health, smoking, and body mass index measured years before the hip fracture predicted excess post-hip fracture mortality, and even hip fracture patients with the most favorable levels of these risk factors had higher mortality than subjects who did not fracture. 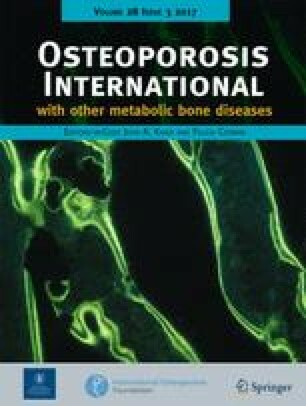 This study aimed to investigate the impact of pre-fracture self-perceived health, smoking, and body mass index (BMI) on excess post-hip fracture mortality using matched peers without hip fracture as reference. The study was based on the Cohort of Norway (CONOR) consisting of 10 regional health studies (1994–2003) and the NOREPOS hip fracture database (1994–2008). A matched cohort design was used to compare survival between hip fracture patients and subjects without fracture (matched on gender, age at participation in CONOR, and study site). Subjects aged ≥60 years were included. Hazard ratios were estimated using stratified Cox regression. Age-standardized mortality was also calculated. Overall, hip fracture patients (N = 3177) had a 2.26-fold (95 % CI 2.13, 2.40) increased mortality compared to matched subjects (N = 20,282). The highest excess mortality was found in hip fracture patients reporting poor health (HR 4.08, 95 % CI 3.17, 5.26) and daily smoking (HR 3.25, 95 % CI 2.89, 3.66) and in patients with BMI <18.5 (HR 3.07, 95 % CI 2.11, 4.47) prior to the fracture. However, excess mortality was also observed in hip fracture patients in all other categories of BMI, self-perceived health, and smoking. Information on self-perceived health, smoking, and BMI collected years before hip fracture predicted excess post-hip fracture mortality, and even hip fracture patients with the most favorable levels of these risk factors had higher mortality than the matched subjects who did not fracture. This suggests that both pre-fracture health status and factors related to the hip fracture itself might affect post-hip fracture mortality. 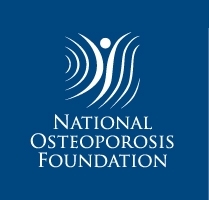 The Norwegian Epidemiologic Osteoporosis Studies (NOREPOS (www.norepos.no)) is a collaboration between epidemiologic osteoporosis studies, which are sub-studies within large population-based health studies in four regions of Norway (Tromsø, Nord-Trøndelag, Hordaland, Oslo). The NOREPOS Hip Fracture Database (NORHip) includes all hospitalizations for hip fracture in Norway during the time period 1994–2008. The authors wish to acknowledge the services of the Cohort of Norway (CONOR), the contributing research centers delivering data to CONOR. The authors are deeply grateful to Tomislav Dimoski (The Norwegian Knowledge Centre for the Health Services), the Statistics Norway, and the staff at the Department of Pharmacoepidemiology (Norwegian Institute of Public Health) contributing to the collection and encryption of the hip fracture data. Professor Aage Tverdal at the Norwegian Institute of Public Health has generously managed the original project. The Regional Committee for Medical and Health Research Ethics, the Norwegian Data Protection Authority, The Directorate of Health, the National Registry, and Statistics Norway have approved the study and the linkages of data.